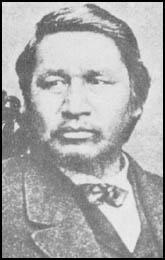 Ely Samuel Parker (Hasanoanda), a member of the Seneca tribe, was born in Genesee County in about 1828. 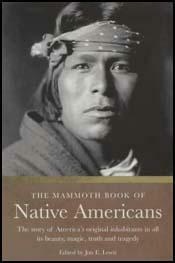 Educated by missionaries Parker he went to Washington in 1846 to help promote the rights of his people. Parker became friends of Lewis H. Morgan, the founder of the Grand Order of the Iroquois. Morgan explained that the purpose of the organization was to "encourage a kinder feeling towards the Indian founded upon a truer knowledge of his civil and domestic institutions, and of his capabilities for future elevation." Parker worked as an interpreter and collaborator in the research that produced the book The League of the Iroquois (1851). Refused permission to become a lawyer, Parker trained as a civil engineer. While working at Galenta, Illinois, he met General Ulysses Grant. During the American Civil War he served under Grant as a staff officer. He eventually reached the rank of lieutenant colonel. After the war Parker was Grant's aide-de-camp (1866-69). Parker also served as Commissioner of Indian Affairs. He was also a successful Wall Street market trader before being employed by the Police Department in New York City. Ely Samuel Parker died at Fairfield, Connecticut, on 31st August, 1895.